Socket LGA2011-V3, Eight Core Technology, 3.20GHz clock speed, 20MB L3 Cache, Hyper-Threading Technology, Quad Channel DDR4 Controller, 3 Yr Warranty. - 10, 8, or 6 cores of uncompromised performance. - With up to 10 cores and 20 threads of performance, individual tasks can get a core or more of dedicated performance, with many creative apps like those from Adobe scaling up performance to match core count. - 10, 8, or 6 cores deliver uncompromised performance for mega-tasking when simultaneous, compute-intensive, multi-threaded workloads are stacked. With an Intel® Core™ i7 processor Extreme Edition you’ll no longer experience frustrating delays. - Content Creation Mega-tasking: editing + image composition + effects rendering + music composition + massive 4k file size upload. - Gaming Mega-tasking: gameplay + broadcasting + background removal + encoding. - A huge performance boost for single threaded workloads with the new Intel® Turbo Boost Max Technology 3.0. 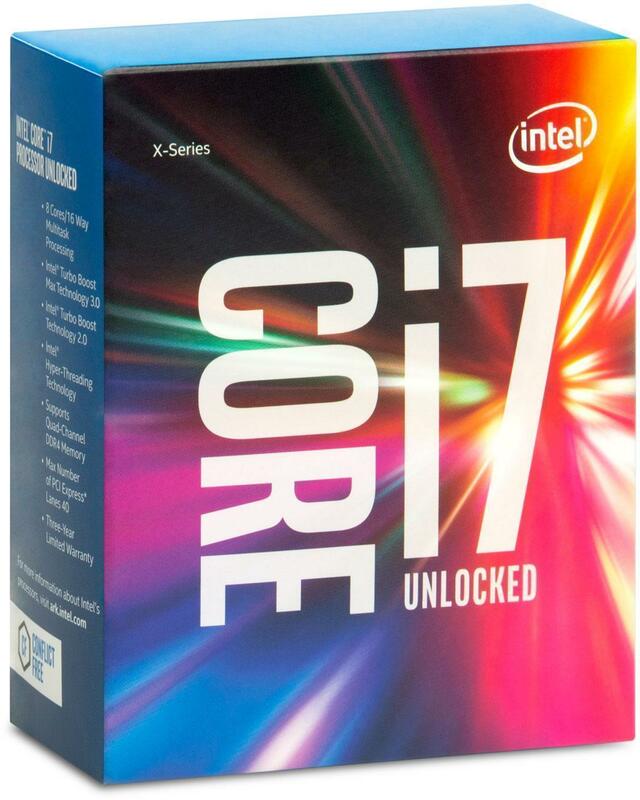 - Unlocked processors provide additional headroom to maximize performance and Intel offers tools to make it easier to perfect your overclocking experience. - For gamers who record gameplay and want to share via VOD sites like YouTube the Intel Core i7 Extreme Edition family takes advantage of multithreaded DCC apps for faster/smoother editing and uploading. - Blistering performance when editing or doing effects in 4k which can take up to 4x the processing power of HD resolution (and 4K is the new standard for creative projects). 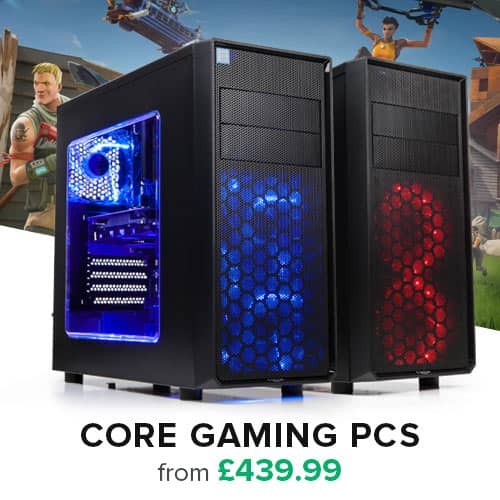 - 40 PCIe lanes* connected directly into the CPU giving you the ability to expand your system with fast SSD’s, up to 4 discrete GFX cards, and ultra-fast Thunderbolt 3.0 solutions (* Except i7 6800K which has 28 PCIe lanes). - Plenty of high speed ports and I/O to attach all your gaming peripherals, including the latest VR head mounted displays. - Developing content for VR demands the extreme performance for editing, rendering, and effects that you get with Intel Extreme Edition for the massive workloads associated with VR. - Quad channel memory in Intel Core i7 processor Extreme Edition improves responsiveness and decreases start up time when you’re working with large files and applications. - Core i7 Extreme Edition systems support Thunderbolt 3 add-in cards delivering 40GBps bi-directional bandwidth. - The Intel Solid State Drive 750 Series connects directly into the CPU via PCIe, providing 13X faster performance than a standard hard disc drive and 4X faster performance than a SATA SSD. - Fully unlocked processor deliver tuning flexibility for additional performance headroom. - NEW Intel® Turbo Boost Max Technology 3.0. 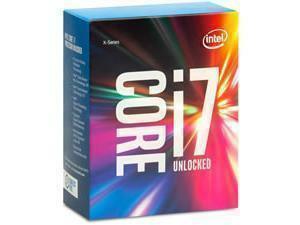 - Intel® Core™ i7 Processors on LGA 2011-v3 socket. - 14nm Tri-Gate 3D transistors. 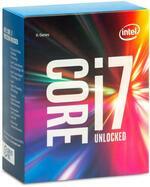 - Intel® X99 Chipset enables drop in compatibility. - Ultimate platform for VR, content creation and gaming.